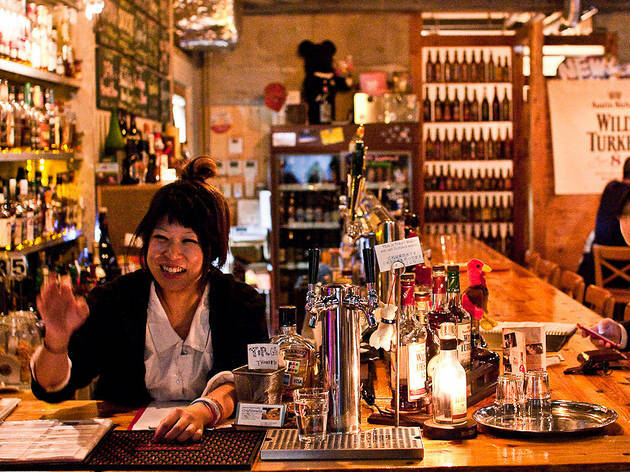 The sister shop of Kawasaki craft beer haven Sal's Bar isn't quite as snooty as its counterpart, though the atmosphere is more reminiscent of a wine bar than a beer hall. The draft selection is a fairly equal split between American and Japanese microbreweries, served in 200ml and 350ml glasses that encourage drinkers to sample a wide variety. 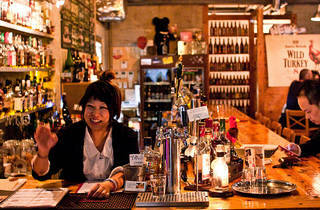 Just keep an eye on the (occasionally eye-watering) prices – you should expect to pay around ¥1,000 for a 350ml glass. The US brews are a particular draw: Craftheads imports directly from the likes of Lost Abbey, Founders and AleSmith, and is notable for being the only place in town that serves bottled and draft beers from Indiana's widely adored Three Floyds Brewing (creators of the sought-after Dark Lord, occasionally available in bottle form here and going for around ¥6,000). The suds are complemented by a superior food menu and compact selection of craft bourbon.